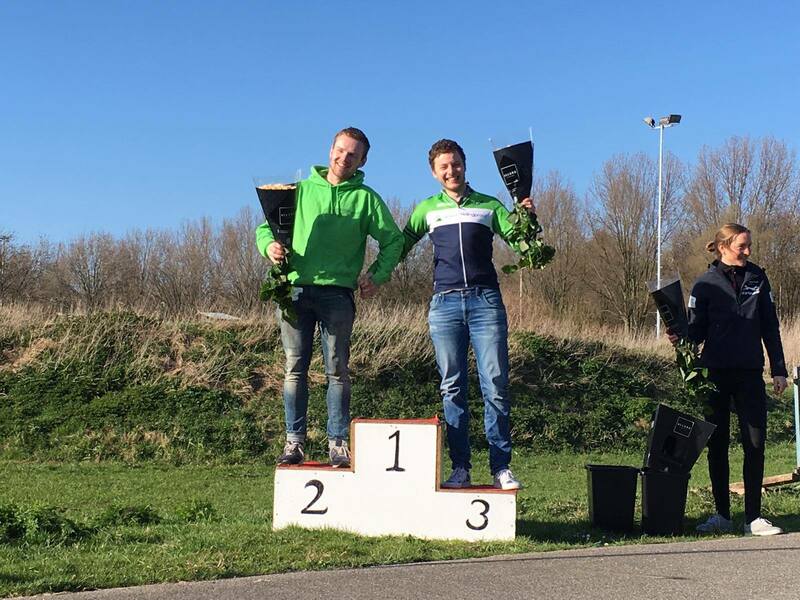 On Sunday 24th of March the first student cup of the season took place in Delft! Of course, many Hellingprofs participated here to kick off the season. First of all, the women’s race took place. 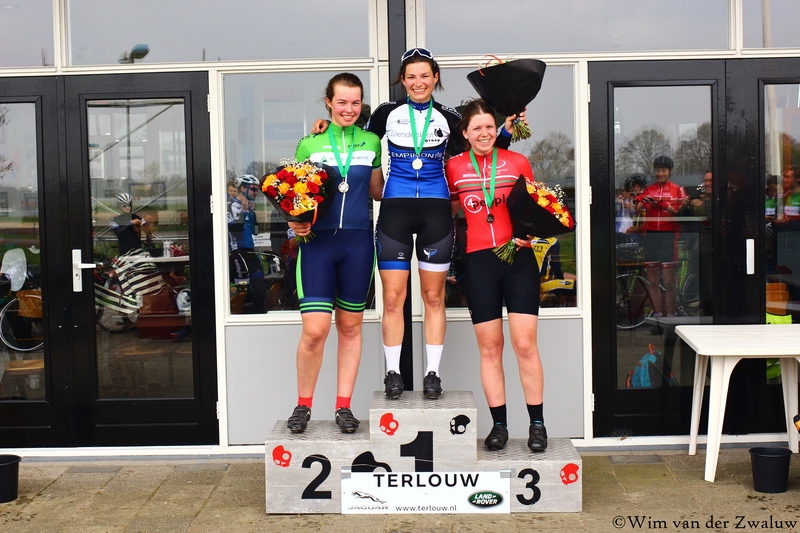 Several of our female Hellingproof riders (Sigrid, Susan and Els) started in this race. Sigrid even escaped from the bunch a little while but it sadly didn’t pay off. They ended up in 9th, 10th and 13th place. After the women’s race it was time for the men’s race without license. 11 Hellingprofs competed in this race! It was an exciting race, with an almost Hellingproof only podium as a result! Hellingproof sadly didn’t win the race but we ended up in 2nd (Harmen) and 3th (Robin) place. However, this was still a result to be proud of!! Last of all, it was time for the men’s race with licence. Four of our Hellingprofs (Bas, Tjalle, Bart and Jake) participated in this race. It was an exciting race with some pretty hard and nice racing. At a certain moment in the race Tjalle and Bas both escaped the peloton, Jake (riding his first race in Hellingproof colors) just stayed cruising in front of the peloton, this was of great help for the escape of Bas&Tjalle! Bas&Tjalle even doubled the bunch with their breakaway! However, their efforts didn’t get them a place on the podium, but they still did a great job finishing 4th and 6th (Jake and Bart finished at 13th and 14th place). After all, it was a nice day of racing to kick off the season, which resulted in some pretty good results for Hellingproof! 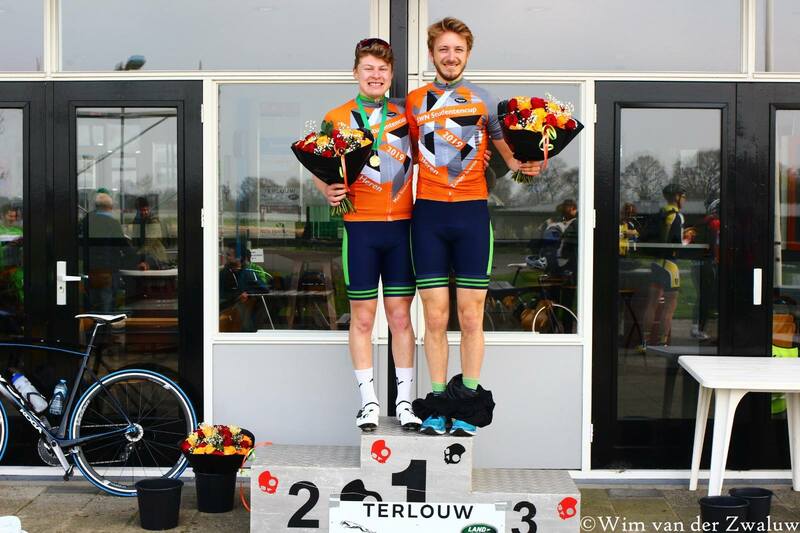 Harmen and Robin together on the podium! On Saturday 31th of March our squad went to Enschede for another student cup. The weather was lovely and morale was high. The men without licence and the women had to ride first (at the same time!). Sigrid and Els represented the women and although Sigrid tried a brave move into the breakaway it sadly was not enough, so they could not fight for the top spots. The men without licence were with a huge number again and even could match the numbers of the men from Klein Verzet! Jesper and Max tried to get in the breakaway as well and although they managed that, the bunch caught them back again. Then Bram also tried and he got in he right breakaway. He never saw the bunch again and he sprinted to an awesome 2nd place! In the men’s with licence race we had 3 men present. In the beginning Jake managed to get in the breakaway but he got caught. Another breakaway formed and no Hellingprof was present. Jetze and Tjalle rode for their lives to get them back and they managed to set Jake up for a final sprint. And what an awesome sprint he did. He secured third place and maybe even more important: the first place in the general classification! Jake on the podium with the the Hellingproof flag! Last Saturday the Hellingproof squad didn’t have to travel far because it was time for the Hellingproof student cup! The morale was even higher than last week due to our successes during the studentencup in Enschede and the fact that it was a ‘home game’ this time. The men without license kicked off the day. Hellingproof was well presented in this race with thirteen riders, with two of them, Arnau and Levien, riding their first race and they did a great job. 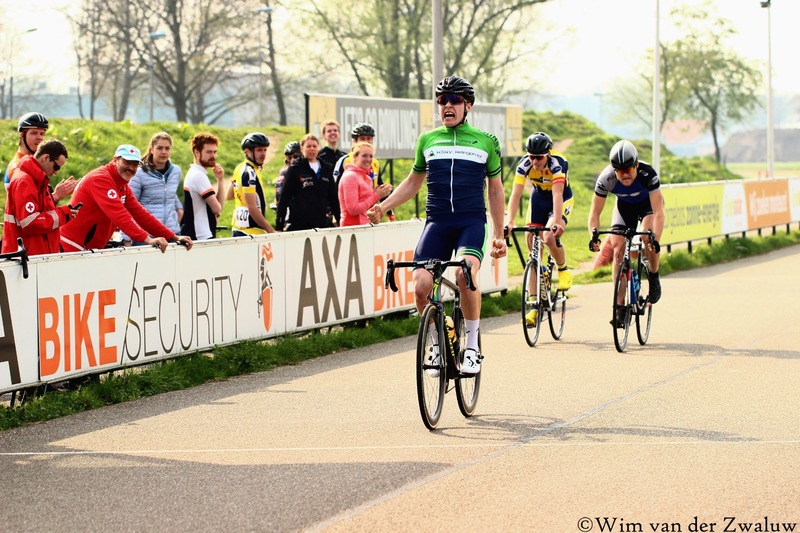 It was an exciting race with lots of attacks containing several Hellingprofs, However none of these attacks formed a breakaway that could keep it up till the end. So the race ended in a bunch sprint in which Bram managed to sprint again for a spot on the podium, the 3th place this time, and Robin sprinted to a well-deserved 4th place. 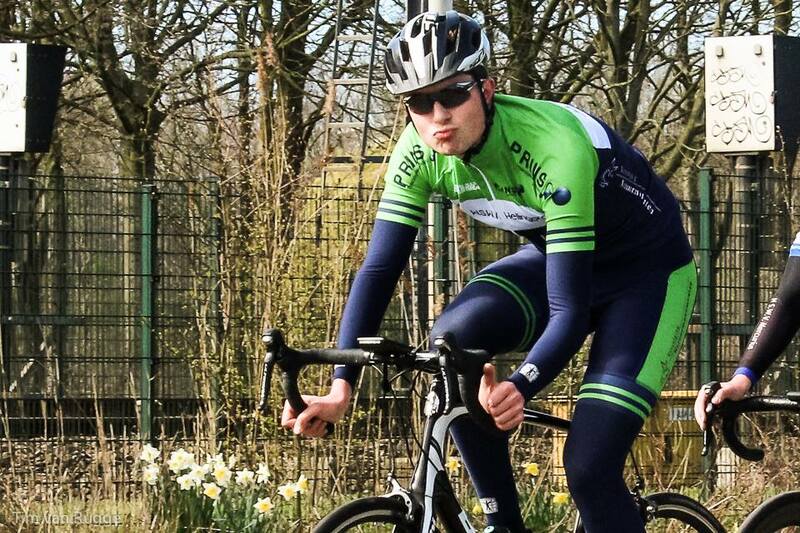 Moreover, Bram also secured the first place in the general classification! After the men without licence had kicked off the day it was time for the women’s race. Anouk, Ehlana, and Susan represented the women this time. After a few laps three women, including Anouk, formed a breakaway and the bunch didn’t manage to catch them. 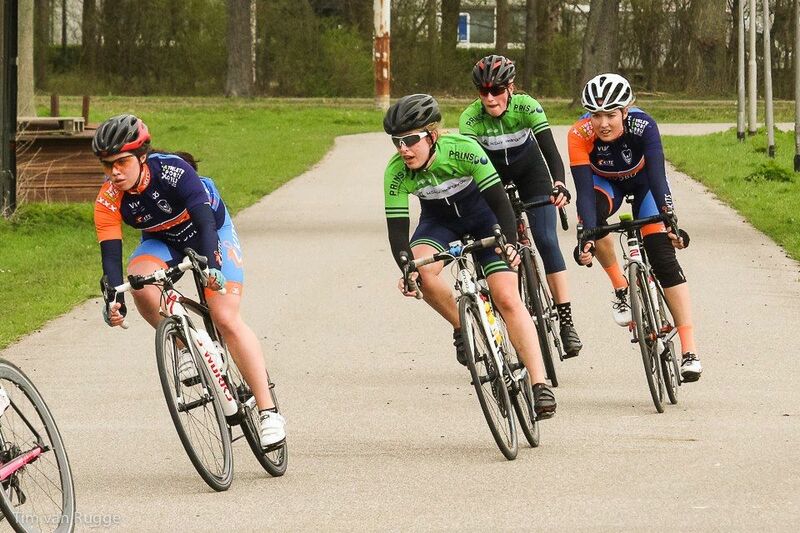 The breakaway ended up in a sprint in which Anouk sprinted to an awesome 2nd place! The men with license closed off the day. It looked like the race would become pretty boring, because a breakaway of three riders, including Jake, was formed and never caught back again by the bunch. However, the race still became exciting. The breakaway managed to get a lead of almost one minute after a bit more than halfway into the race. Then some riders in the peloton thought it was also time to launch an attack. These attacks split up the bunch into two pieces and the lead of the breakaway started to reduce bit by bit. However, the second group, including Bas&Tjalle didn’t managed to reduce the gap any further than half a minute. At the end of the race the breakaway even doubled the last group. The guys of the breakaway kept riding along with this last group, which meant the second group started to reduce the gap again. However, for Tjalle the pace of the second group wasn’t high enough. So, he launched a very powerful attack during the last few rounds. Due to the gambling of the riders from the breakaway and Tjalle his powerful attack, Tjalle managed to get closer and closer to the breakaway. But sadly it wasn’t enough for him. However Jake was still in the breakaway and when they started to sprint, Jake immediately got in front and won the sprint with a few lengths! Tjalle ended up in a well-deserved 4th place. Last week after the race it was wrongly said to Jake that he took the overall lead in the classification (this wasn’t the case according to the point system). However, with his win he rightfully secured the overall lead in the classification this time. 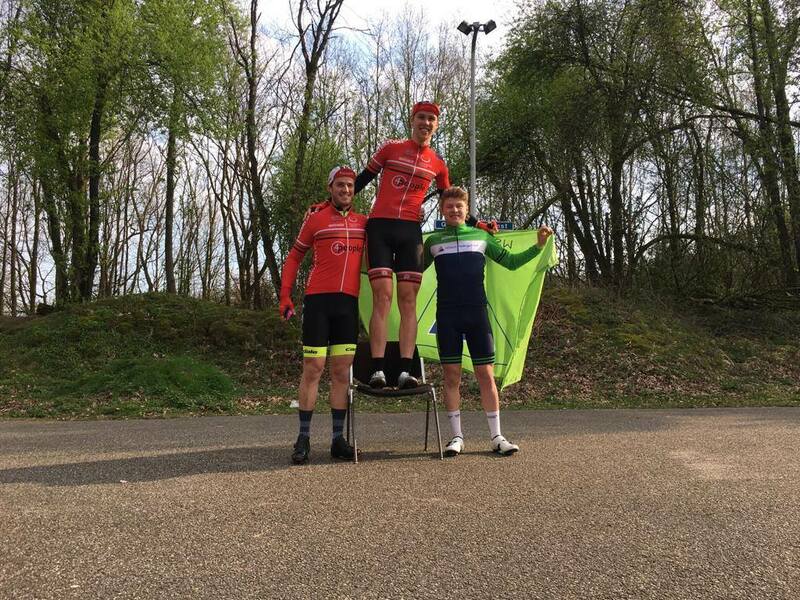 So, overall it was a great day for Hellingproof with a spot on the podium in every race and taking home two leaders jerseys. We also want to thank all the volunteers that helped us out Saturday!